Create an ambiance of fashion and grace wearing this classic green dress which has a feminine flair that is perfect for special occasion semi-formal parties and wedding functions. The kameez is embedded with beautiful embroidery work all over and the work that goes about in the top makes it pretty attractive. The dupatta is of the same color and has a golden lace border. 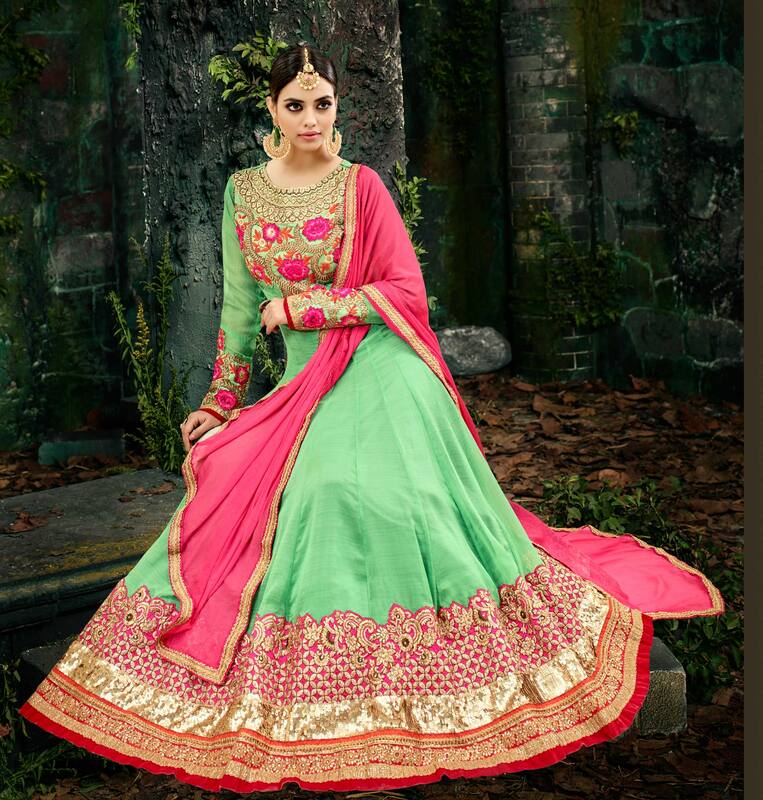 The material used in the kameez is georgette chiffon while that in the bottom is santoon and the dupatts is made of chiffon.